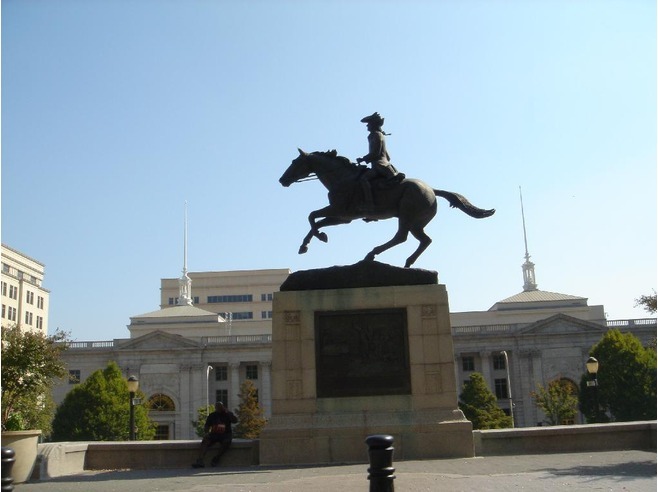 History of Wilmington Delaware, the First State. Arriving on the Kalmar Nyckel in 1638, were the first settlers from Sweden that colonized what is now known as Wilmington. After arrival at the mouth of the Christina River they started Fort Christina and named the area New Sweden. In 1655 a Dutch fleet arrived and established the authority of the Colony of New Netherland throughout the region that was controlled by the Swedes. In 1664, after wars between the Dutch and English the area began colonization by the British. Along with a Quaker named William Penn, a charter was granted in 1739 which changed the name of the settlement to Willington and later to Wilmington. The year 1800 brought Eleuthere Irenee DuPont to Wilmington where his knowledge of manufacturing gunpowder brought much wealth and success to Wilmington. In the mid 1860’s Wilmington’s DuPont Company was number one in producing gunpowder. Wilmington thrived during both World Wars due to the industries, shipyards, steel foundries and chemical producers. DuPont Company became a leader in the industrial field. After the war that prosperity led to an increase in housing which in turn led to highways and new roads. Wilmington became a place that was known for the financial institutions and some of the biggest banks relocating there. Through the years with the economy on the decline, these institutions have downsized and been bought and renamed. However, a larger financial contingency is still being represented in Wilmington. From the extensive revitalization projects on the Waterfront to new construction and businesses throughout our area, Wilmington is vital and thriving city!